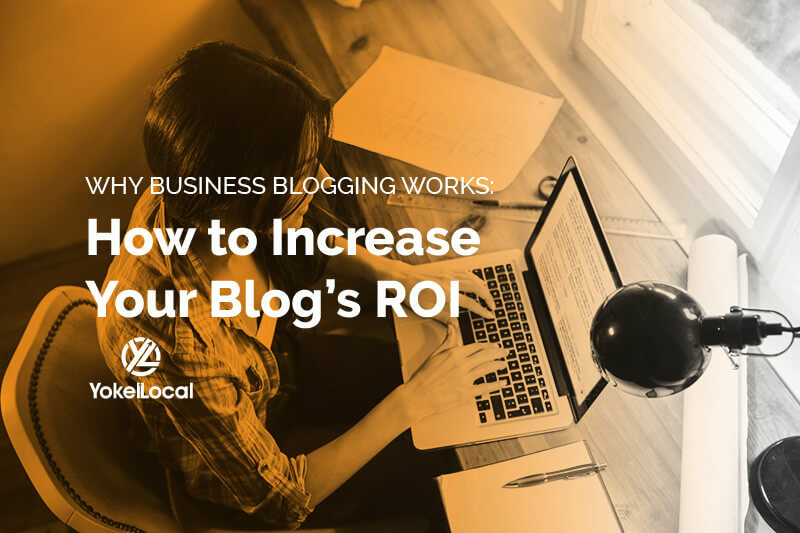 Want to increase the ROI of your blog? End your posts with a powerful conclusion. You want to keep your readers engaged and interested in your brand, and your last ditch effort to keep their attention is in the conclusion. Not only that, you want to get some ROI from the content you're producing. There how many ways you can conclude your blog post with ease. Here are the 13 most effective. Depending on what your post is about, you have several different means to conclude your writing. Are you trying to advertise, debate, gather information from your visitors, or simply talk? 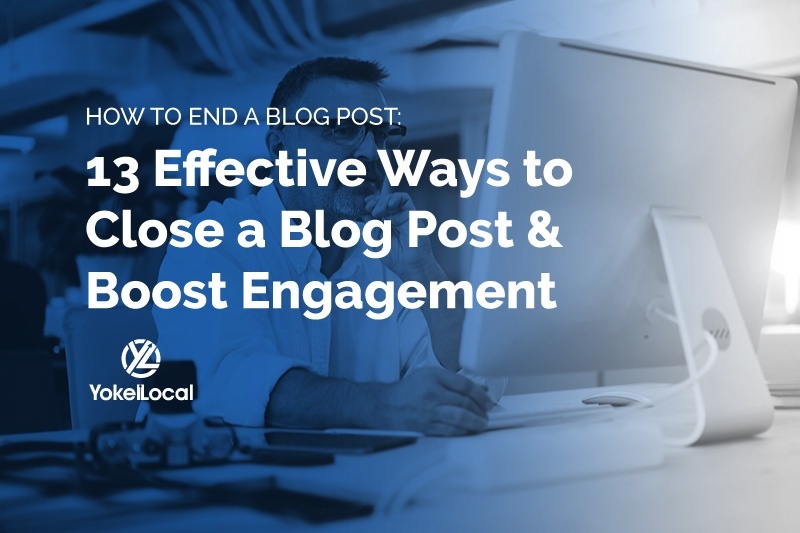 For each type of blog post, you’ll want to present a different tone, including with your conclusion. 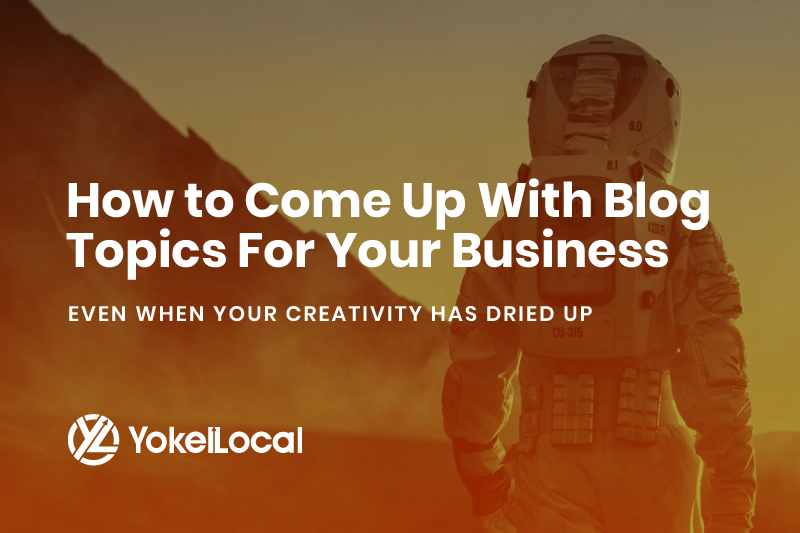 Sometimes, you’ve said all you needed to within the body of your blog post, so a short sentence or two to drive home your point might be all you need. No use in fluffing up an ending if you’ve already convinced your reader. This is most effective when you’ve written a long post with several points; you might want to use your conclusion too quick reiterate those basic ideas. This is most useful for readers who skim. They’ll spend most of their time at the beginning and end, so if you list your main points at the end, readers will be sure to see them. In an argument piece, you don’t want to sound as though you’re making a one-sided case based on opinion. By bringing in an opposing viewpoint—“some people might prefer this over that, and that’s okay”—you’ll demonstrate your credibility. If you can take it one step further and argue against the opposition, you’ll prove your point even more. For posts about current issues, you don’t want to drone on about how much of a problem something is without providing a solution; otherwise, you’ll simply sound as though you’re complaining, as though you’re all talk and no action. Boost your credibility here by telling your readers how both you and they can solve the issue you’re discussing. When you’ve driven your point home thoroughly enough that your readers want to know more about your blog post topic, share links to other related to your content so they can dig deeper. Most of the time you want to readers to other articles on your website. The fact that they’ve clicked on those links means that you’ve done your job: you’ve convinced them of your point, and they trust your judgment in related content. Not only that, you'll boost your pages views. Just as news sites occasionally post a big, bold UPDATE section at the end of articles involving ongoing investigations, you might have to update certain content pieces in which you don’t have all the information but want to add your voice to the pool of those discussing the topic at hand. Giving updates will show that you’re actively involved in and knowledgeable of the situation. Did you find the strategies listed in this article helpful? What are some of your favorites ways to end a blog post? How have they worked for you? Finishing off your message with a quick, “leave a comment below,” “I’d love to know what you think,” gives those of your readers who are shy an excuse to respond to your posts or ask questions of their own. For your readers who are already active on your blog, this provides them with a larger foundation on which to build debate and conversation among your audience. This way, you’ll get a larger idea of your readership’s opinions and preferences when framing out future posts. When a general conclusion fails to impress, ask your readers to share your article via social media, email, or wherever they can. Sometimes, encouraging people to spread the word has a more significant impact. The more open-ended the cliffhanger, the better. You can do this by making a series of posts, each one ending unfinished; there’s more to say for next time. It’ll poke at your readers’ curiosity until their certain they have to come back for the next installment of the post, and you’ll keep their interest piqued. 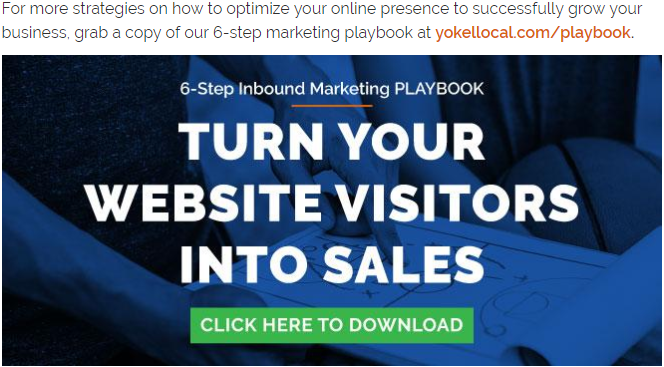 Giving your visitors the option to gain access to a content offer of some sort is one of the best ways to end your blog post, as it encourages your visitors to enter your sales funnel. If you’ve managed to keep your readers tuned in for the entire article, chances are they’d be interested in more related information. By asking them to subscribe to your blog, download a guide or ebook, or sign up for a free consultation in exchange for that information, you’ve secured an extra reader for the future and a new customer lead. When in doubt, pull out all the stops. Your post might warrant a few different endings. For instance, you might present an actionable solution, then ask how else people might be able to act, which prompts discussion. Plus, for good measure, you can ask people to share the article with friends to get further feedback. Depending on how you’ve developed your post, you could use a smattering of these options, or every single one. While most posts need those few ending sentences to wrap things up, there will be occasions where you’ve said all you needed to, and a conclusion is just superfluous. If your post sounds finished before you’ve reached your conclusion, don’t force one. Again, there's no need to fluff up your article because you think it needs an extra few sentences. With so many conclusion options at your disposal, you might not know which method will fit best with your post, and this is the beauty of the editing process. Tinker with different ways to end your piece until you’ve found the call-to-action or message that will deliver the most ROI for you and your readers! 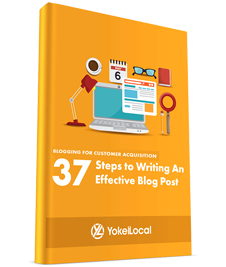 Write blog posts that will attract website visitors, generate leads, and improve your digital marketing results.